Today I'm excited to welcome Makenzi Fisk to my blog! She's here to share Five Fun Facts about herself, her book and her writing! 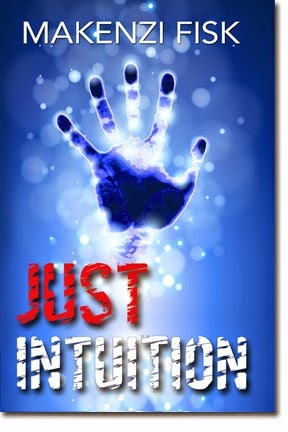 And, if you scroll down, you can read a bewitching excerpt from her new book, Just Intuition! I come from a long line of storytellers so it comes naturally to me. Since childhood, I entertained my younger brothers and sisters with made-up adventures to get them to go to sleep. Someday I will write a children’s book based on the bedtime stories I make up for my foster kids now. The most popular one revolves around two young girls who, along with their invisible guardian angel dog, accidentally mix up a special potion that turns them blue. Another favourite is when the dog takes the kids through a portal to Mexico where they get to dance with Donna the Iguana and meet her family. We even made up a song for that one. The kids love it when I use their names for the characters. I designed my own book cover but, when it came down to making a choice, I couldn’t decide between my two favourites. The bare bones of a second story formed in my brain and I was inspired to write a sequel. A trilogy sounded even better and I easily found an image for book three! Sometimes I think better with the help of pictures. Gina the convenience store manager was originally intended to be one-scene character in Just Intuition but she insisted on being interesting. A Minnesota native, she’s proud of her family’s history of running moonshine during the Prohibition days. She keeps popping up throughout the story because I really liked her. A woman disappears when a shadowy figure turns to murder in a northern Minnesota town. Years later, the murderer strikes again, and an elderly woman burns to death in a fiery blast. Small town cop Erin Ericsson doesn’t believe it was an accident. With the help of a quirky fellow officer, she defies the investigating detective to pursue the case on her own. Her girlfriend Allie begins to suffer terrifying visions with a connection to the malevolent presence. Enlisting her reluctant cooperation, Erin struggles to interpret the meaning of the cryptic dreams. Her police work and Allie’s uncanny insight lead them through unforgiving back woods and face to face with evil. Together they use their skill, and a bit of intuition, to unmask the culprit behind an escalating series of deadly crimes. "I'm not saying you're some kind of witch or anything." Erin hesitated. "But you react to things before they even happen, you dream about things you can't possibly know, and you freaked out—"
"You watch too much reality TV. This is not rational." Erin took a deep breath and began again. "I just mean that it's interesting when you move things right before I drop something on the exact spot. You brake before the car in front of you swerves into your lane. You open the door for the dog two seconds before she gets there. You know what's happening before it does. You do it all the time." "I'm a good guesser," Allie scoffed. "Everyone does that." Makenzi Fisk grew up in a small town in Northwestern Ontario. She spent much of her youth outdoors, surrounded by the rugged landscape of the Canadian Shield. Moving west, she became a police officer with experience in patrols, covert operations, plainclothes investigation, communications and forensic identification. Within the policing environment, she transitioned to internet and graphic design. She now works for herself. In her novels, Makenzi draws on her knowledge of the outdoors, policing and technology to create vivid worlds where crime, untamed wilderness and intuition blend. Her novels’ characters are competent women who solve crime using skill and a little intuition. 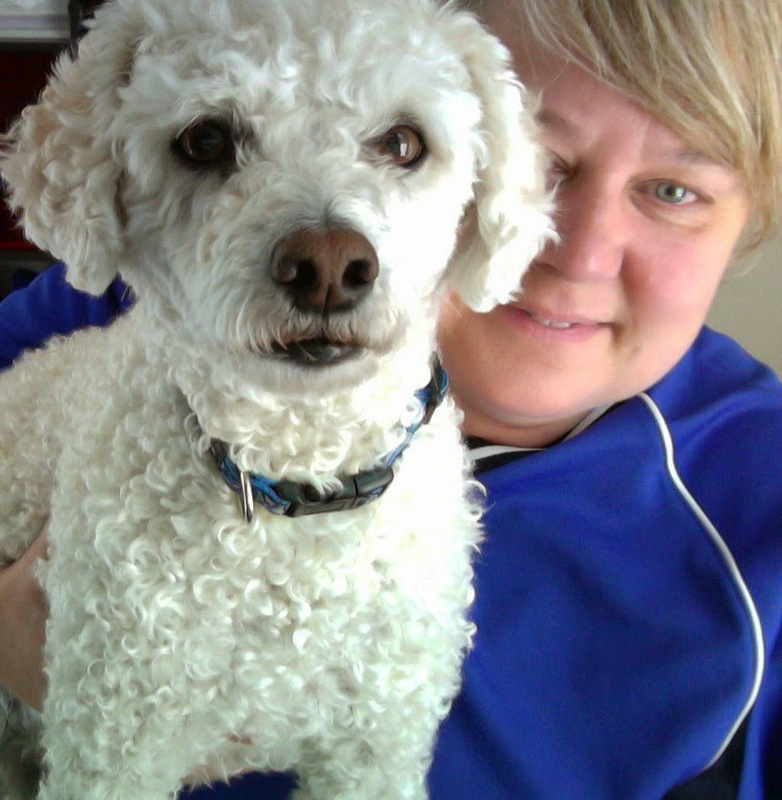 Currently Makenzi resides in Calgary with her partner, their daughter, and assorted furry companions. I love Makenzi's excerpt! There have been times when I knew the phone would ring before it actually rang, but I think Allie might have me beat. ;) How about you? Do you know things before you should? The excerpt and blurb are excellent, and I love the idea of your children's stories. Interesting post. :-) It's fascinating, what motivates us to write. After reading this, I wonder if I should put together some photos. Normally I rely on music. Thanks for sharing!